Skill stop machines have gained much popularity due to the fact they offer an element of skill from the player to the slot gambling process that is otherwise based on mere luck. While traditional slots require the players to simply push the button, skill stop machines include additional skill stop buttons placed in between the reels of the slot machine. Pushing the buttons the player is able to bring any of the reels to a stop, thus getting some degree of control over the game process. Skill stop buttons on the slot machines appeared first in the mid-1920s. Some machines were provided with modified reel-stop handles that enabled the player to stop the reels earlier by pressing the buttons on the machine's front placed between each reel. In the course of slot history, new models of skill stop machines were developed. In 1970s the player was able to stop each of the reels, which included a certain degree of "skill". The new skill stop machines were introduced according to the new gambling laws of New Jersey requiring that a player should be able to control the process of gaming. Weights were used for each reel to slow down the stopping that otherwise could be performed in less than 10 seconds. Nowadays you don't find much of the skill stop machines in the USA. The casinos simply gain too much from the traditional slot machines based on chance to allow games requiring any degree of skill that could be mastered by the player. The player should adjust the throttle of the plunger that launches the balls into or outside of the three slots in the machine. If the balls land in the slots, the player wins jackpot. 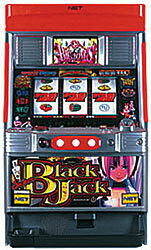 The slot machines odds of winning jackpot are considered to be once in 330 launches. Modern reel slot machines with skill stop buttons that are represented in international casinos usually have three reels and offer a wide range of special visual and sound effects, just like the advanced video slots. Skill stop machines are still concerned with a high degree of luck. In fact, the players just attempt to stop the reels so that they gradually come to a halt and finally stop on certain symbols. There is no actual chance to stop the reels right when you want them to stop. This means that the "skills" for playing skill stop machines are quite illusory.